Reading is not just the exercise of the mind, but an enjoyment of the heart and soul. Every year on March 2nd Americans celebrate Read Across America Day to promote the value of reading to children. This date is the birthday of the renowned children’s author, Theodore Geisel, better known as Dr. Seuss. Research has shown that children who are motivated and spend more time reading do significantly better in school. 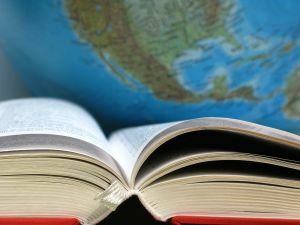 It has become a mantra for adults to encourage children to read books as it is an important factor in student achievement. 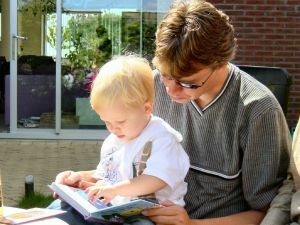 Moreover, the children will find joy in being lifelong successful readers. Read Across America Day began with a small reading task force at the National Education Association in May 1997. Activities for children were started on March 2, 1998 and children now enjoy the largest celebration of reading America has ever seen. Not only children benefit from NEA’s Read Across America, NEA gets everyone involved in the advocacy resources and activities they need to continue reading on the calendar 365 days a year. There have been many activities organized to promote and celebrate Read Across America, including reading plays or readers’ theatre, reading challenges to children, as well as adults reading to children. As it requires a strong community effort, all schools, libraries, community centers, churches, hospitals, bookstores, and other important institutions are encouraged to host local events to celebrate and promote children’s reading. On Read Across America Day, children and adults rediscover the joys of reading with their companions – parents, family and friends – amidst the fast-paced world of the 21st Century. They need to see that books are not just requirements in school, but are some of the best things you can enjoy in life. Remember that every day is a day to read books with relish, with a certain form of love that can only be felt when you read the kind of books you love and feel connected to. So enjoy life and books. Live, love, read, dear friends. Read Across America is just one day to celebrate reading, but you can make any day the best when you finish reading a book that you have admired and loved.